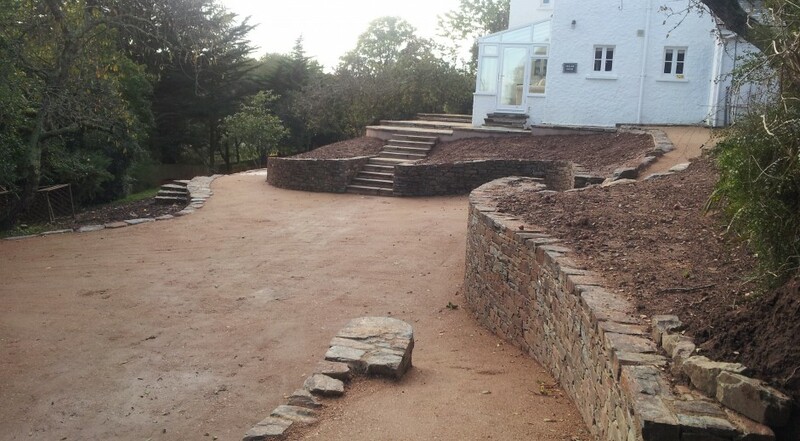 This was a massive undertaking and was done in two main stages, the rear and front areas. 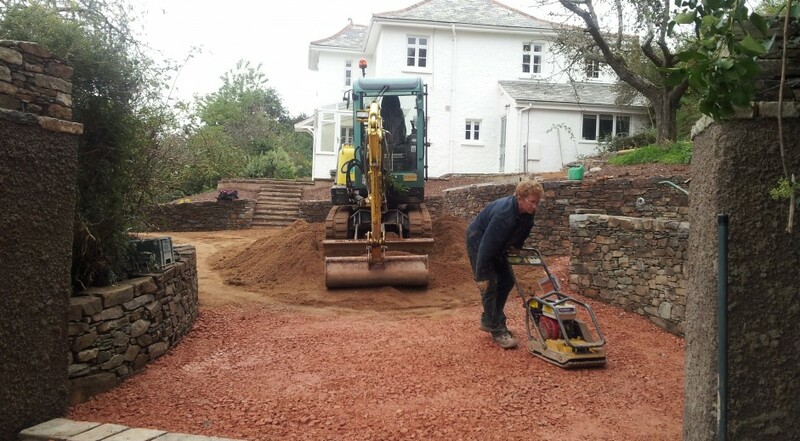 One of our favourite jobs to date. 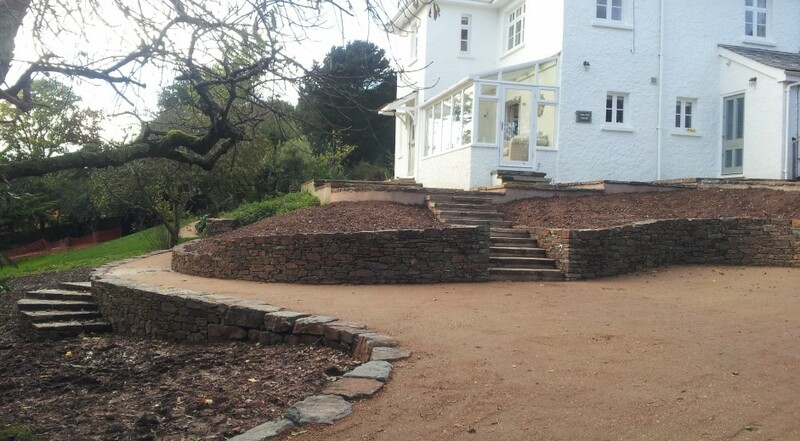 The concept was make the grounds more appealing and easier to use. 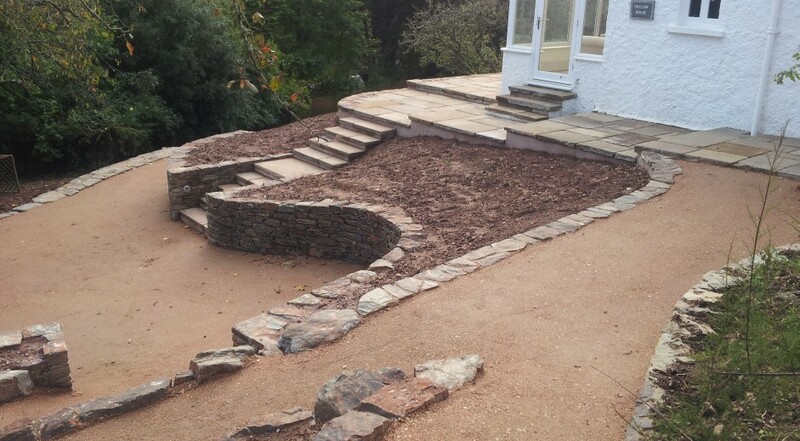 This was done without creating too many straight lines and by trying to keep an organic feel to the structures. 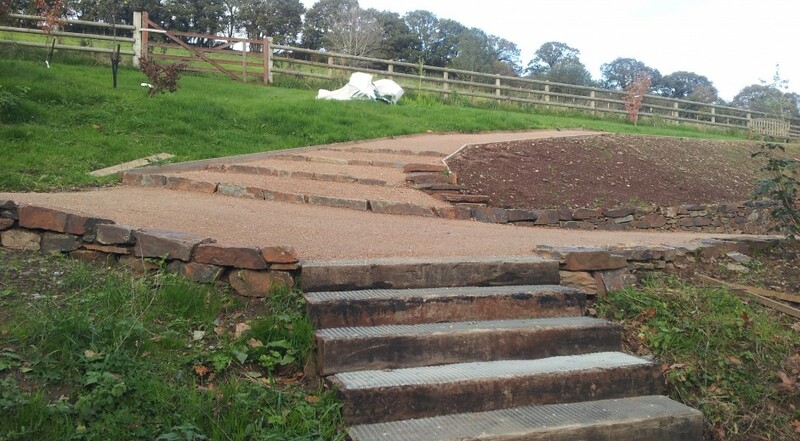 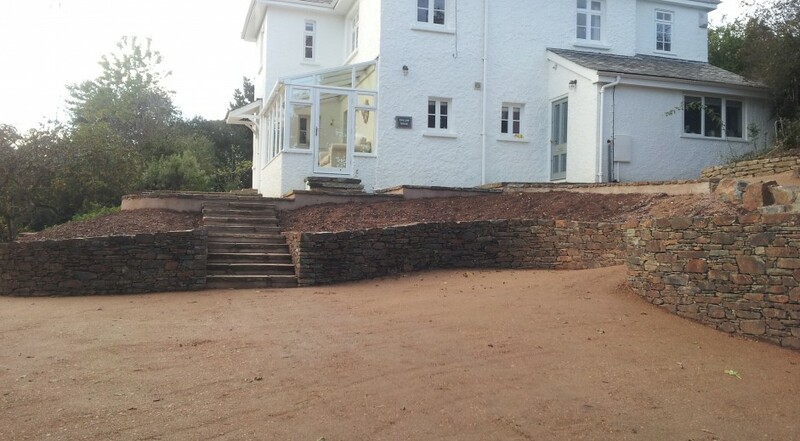 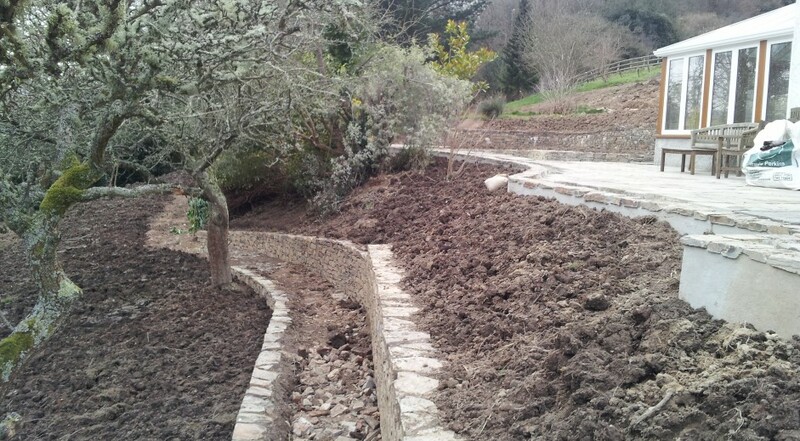 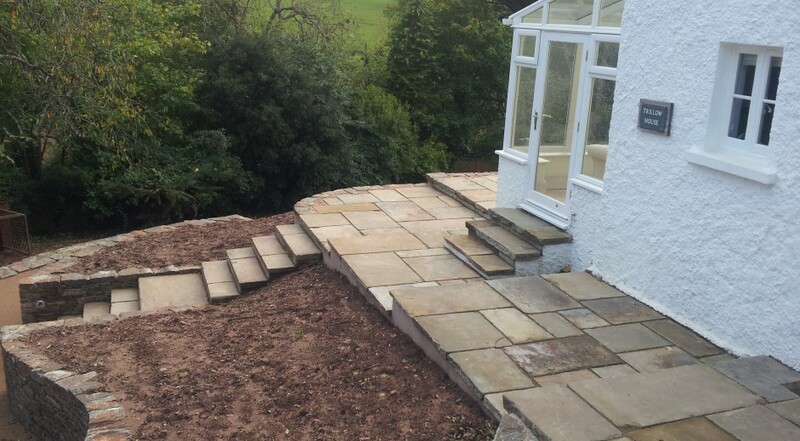 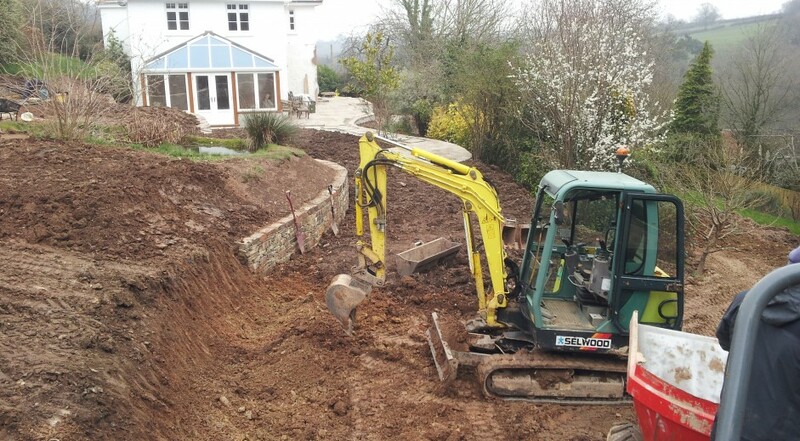 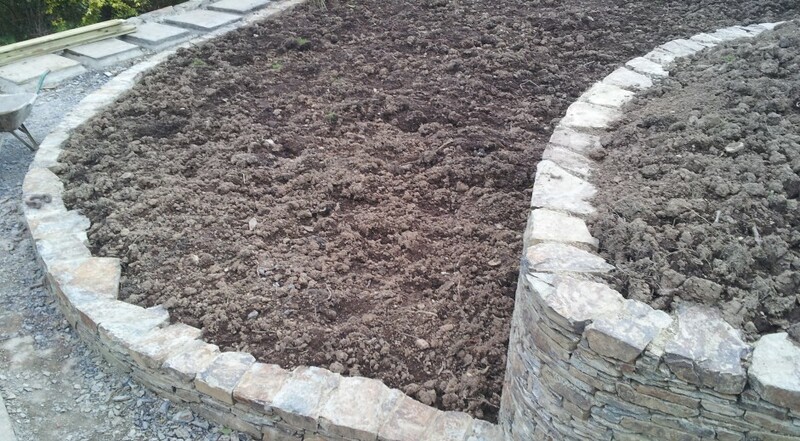 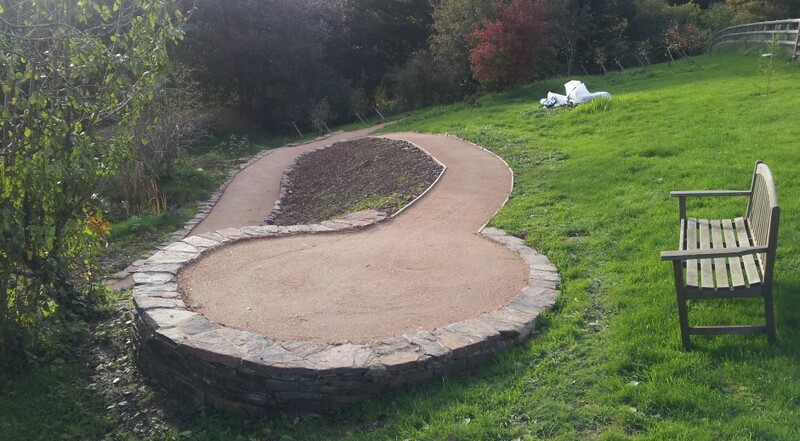 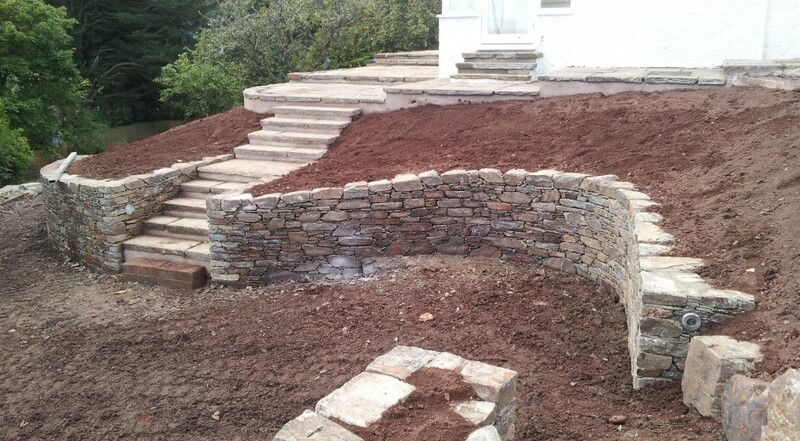 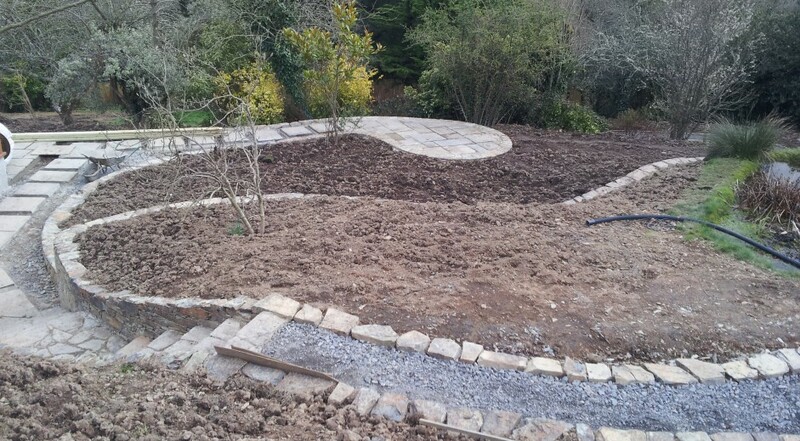 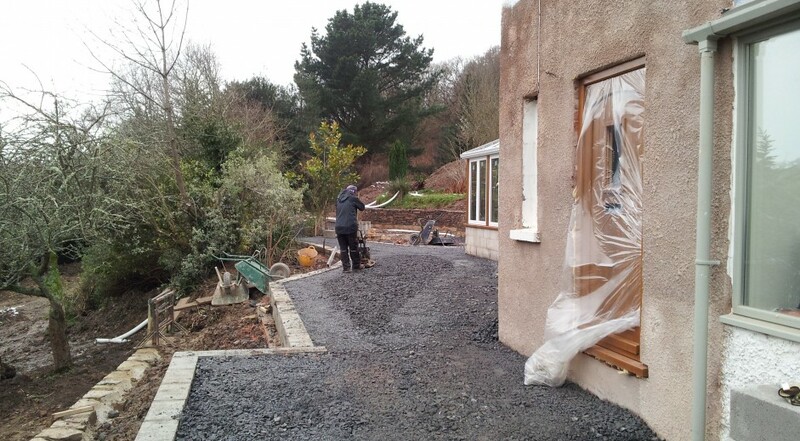 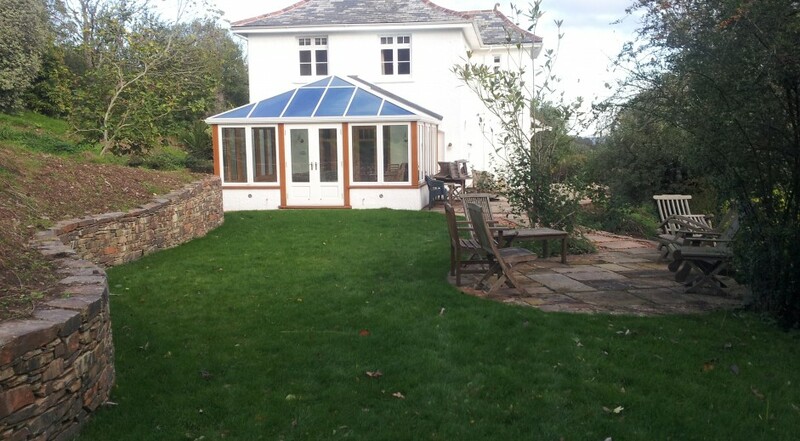 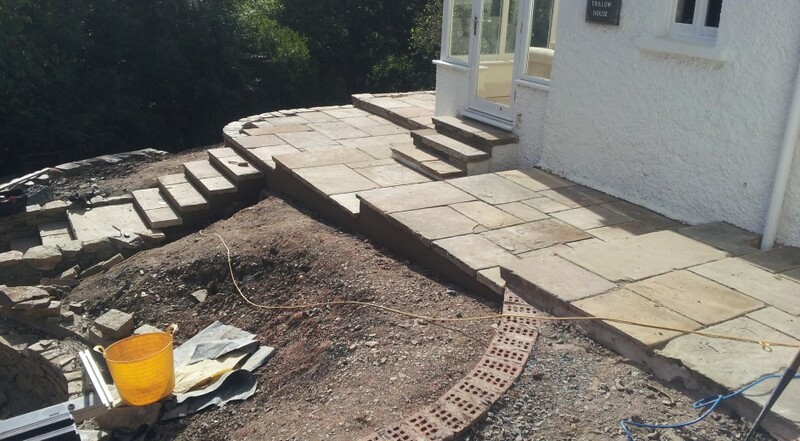 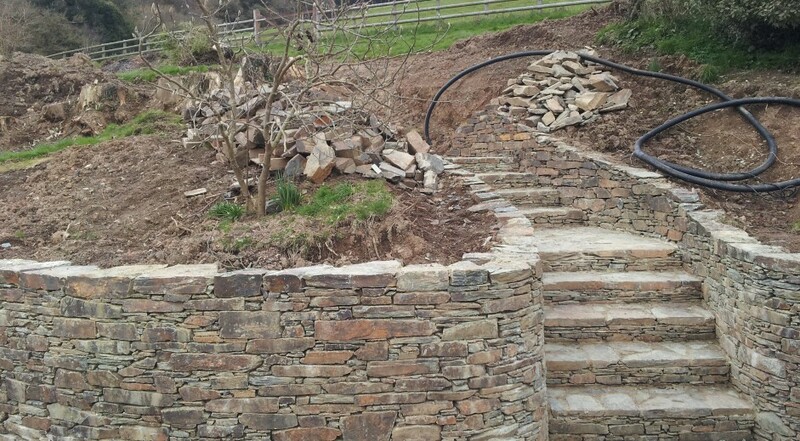 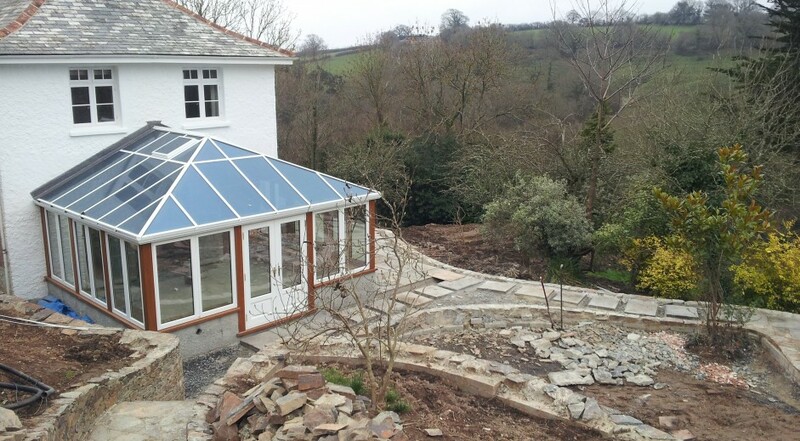 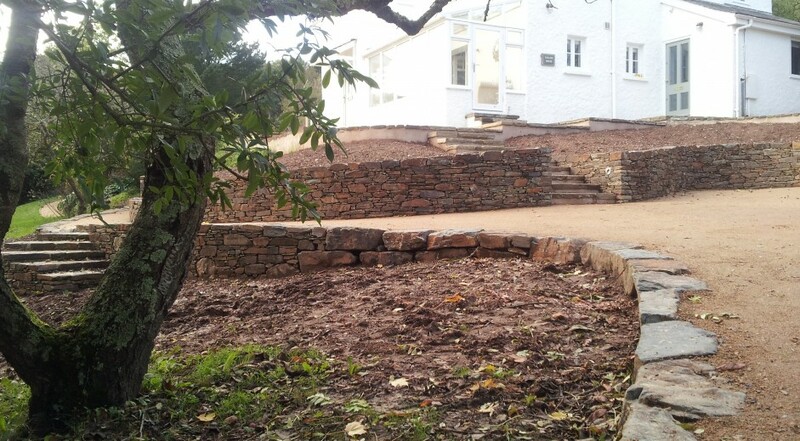 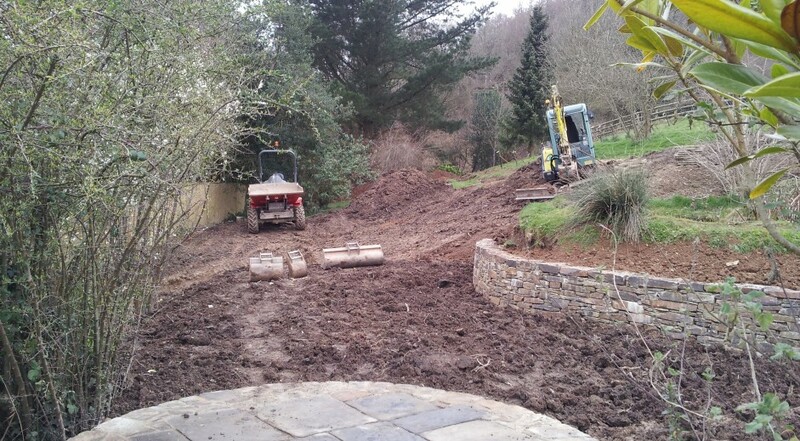 It included lowering the levels of the existing driveway, forming ramps, steps, pathways and beds for planting. 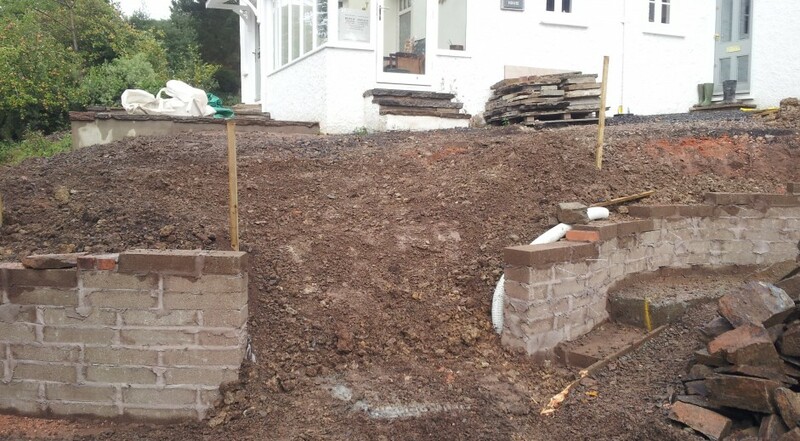 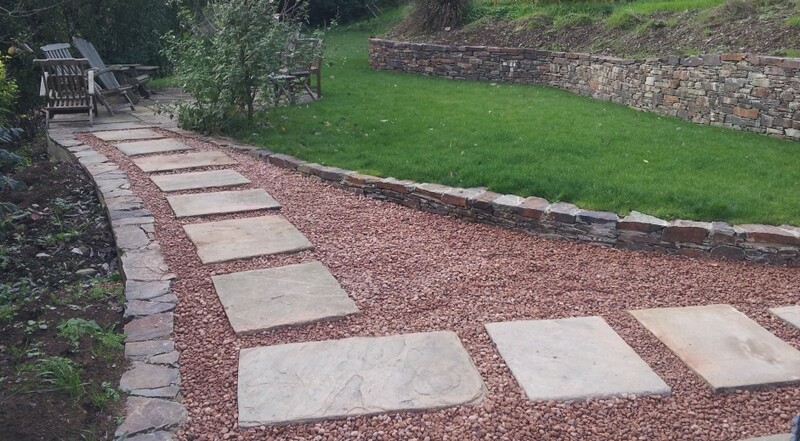 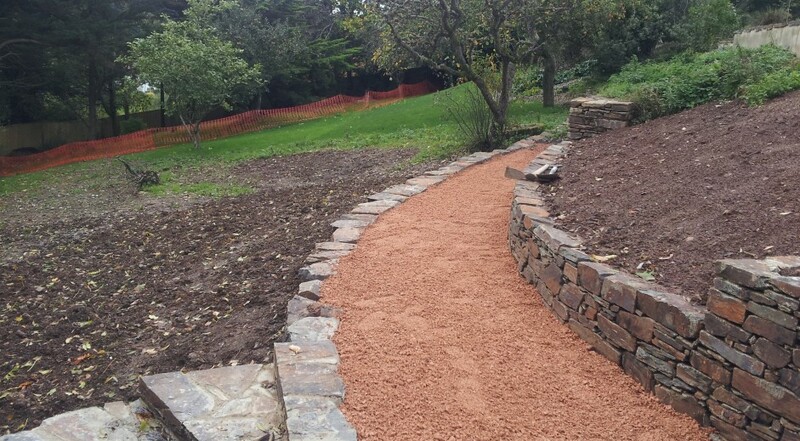 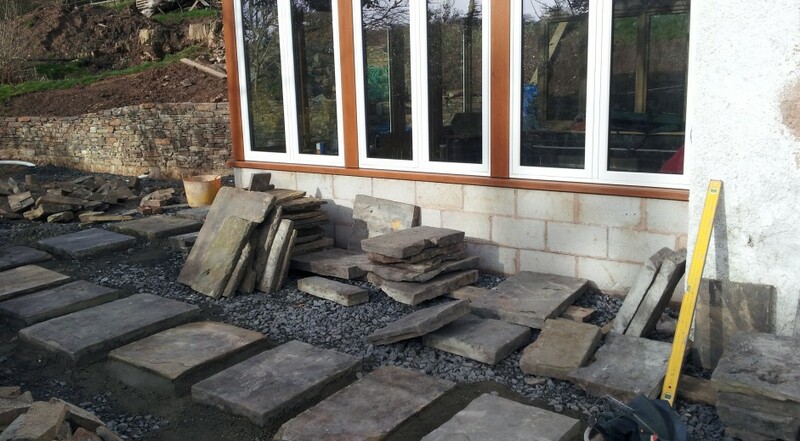 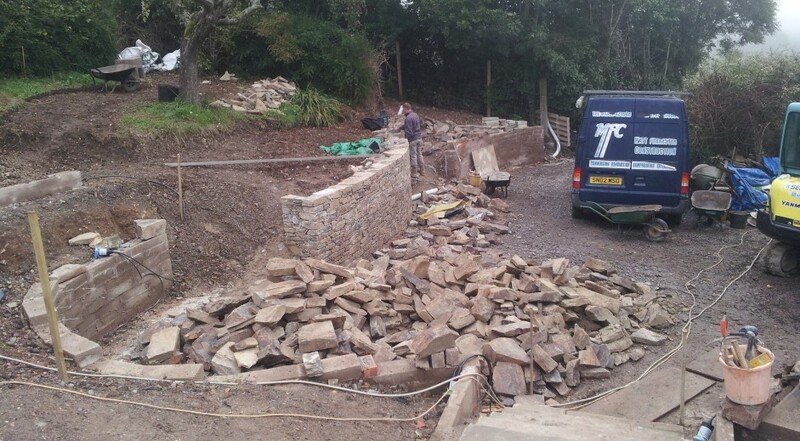 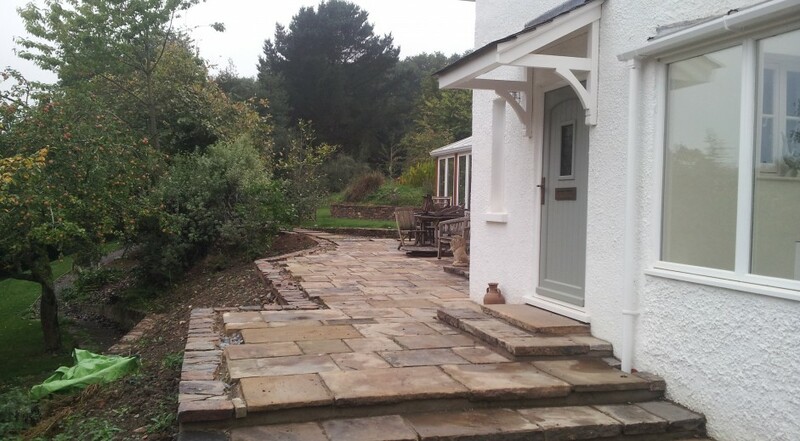 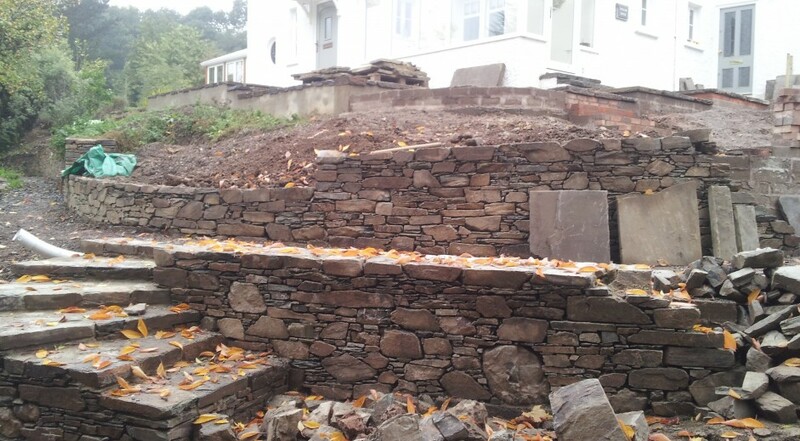 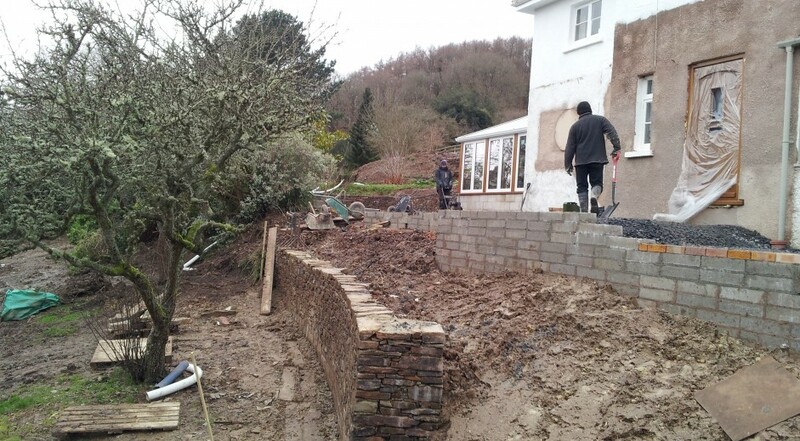 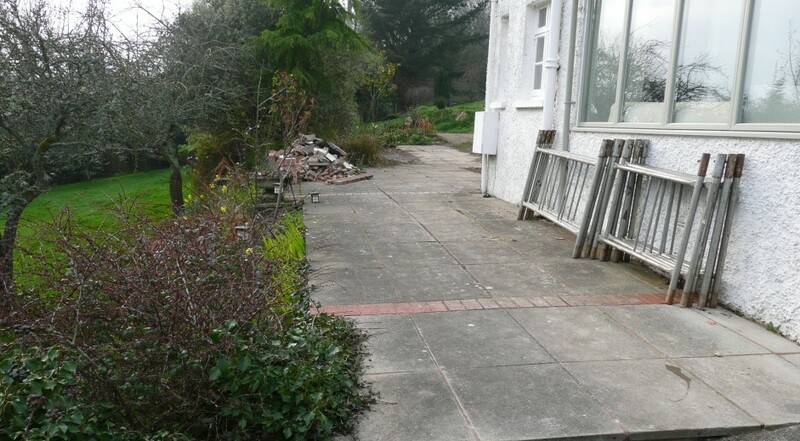 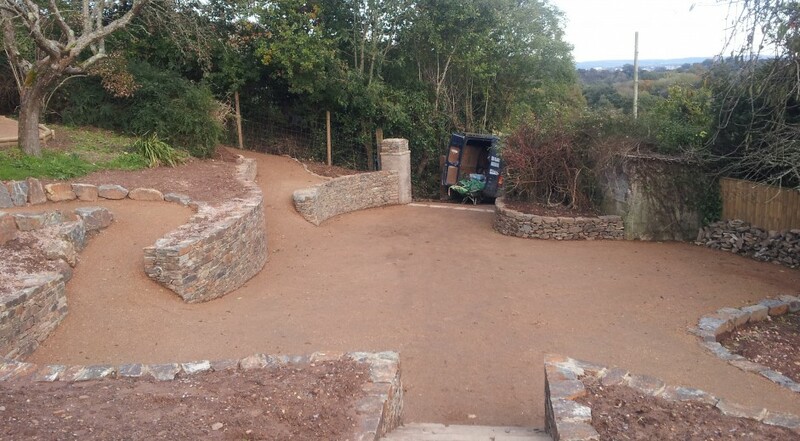 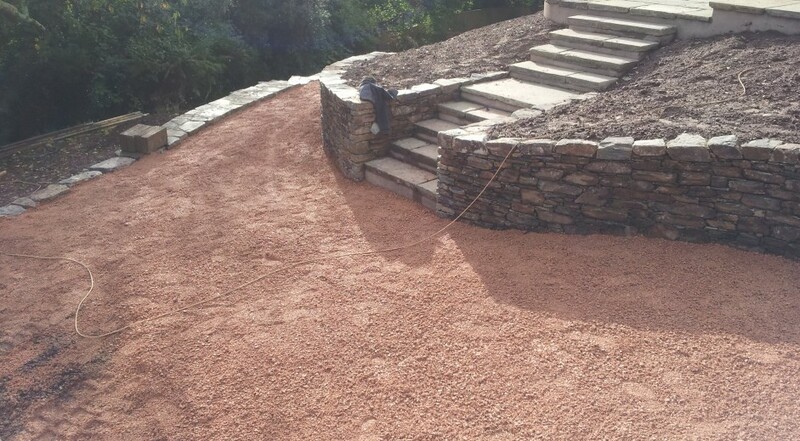 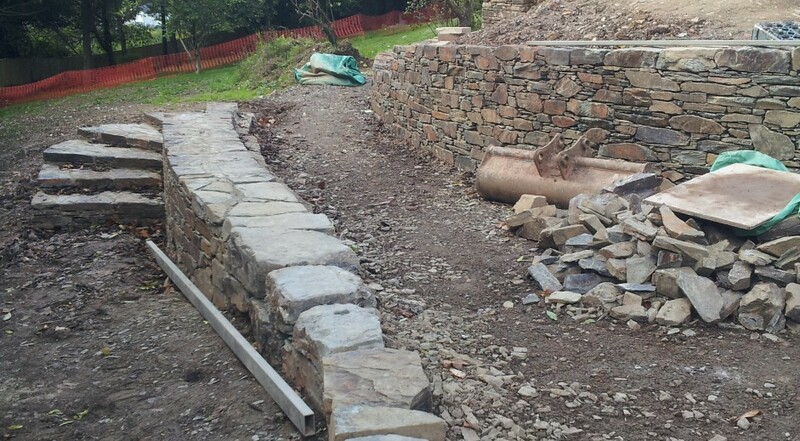 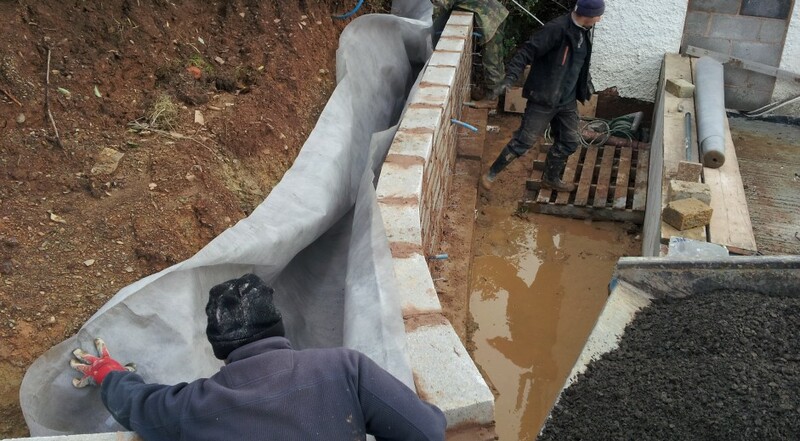 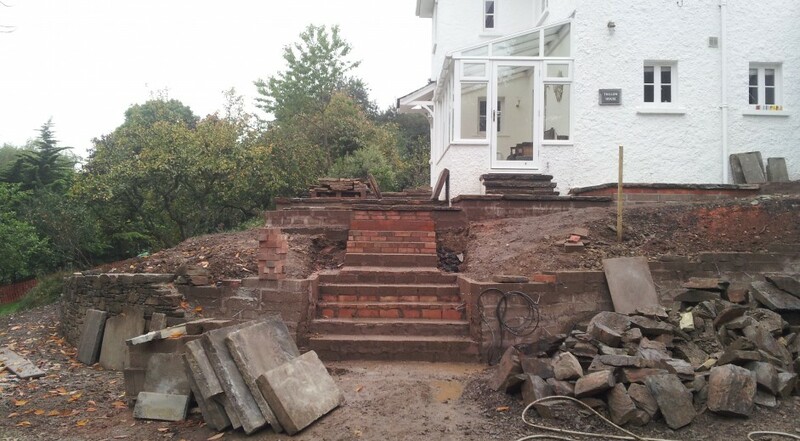 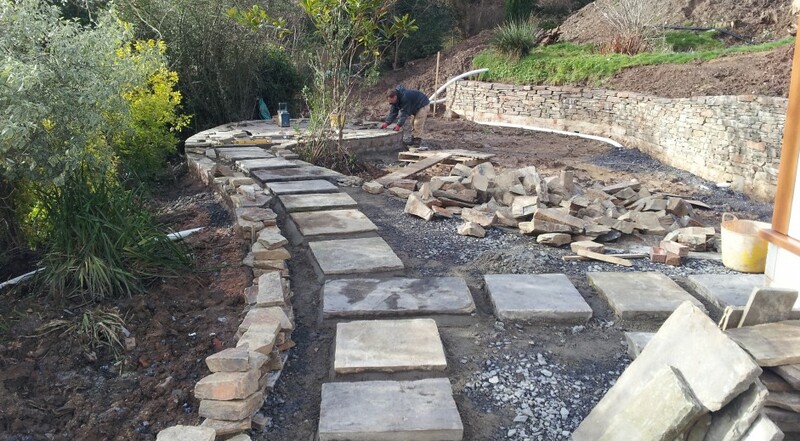 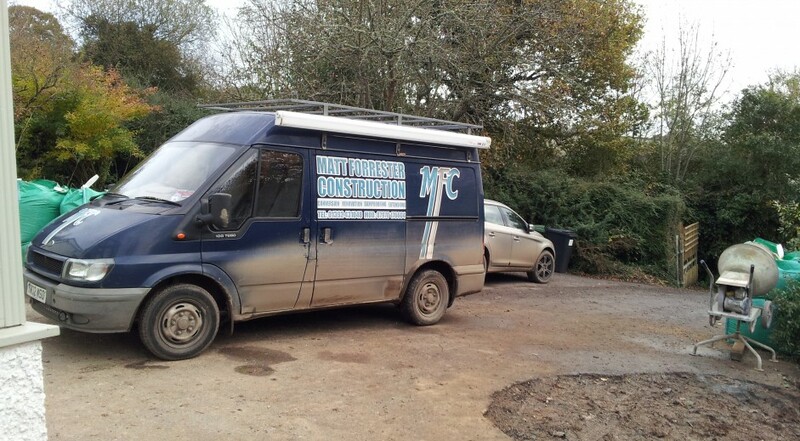 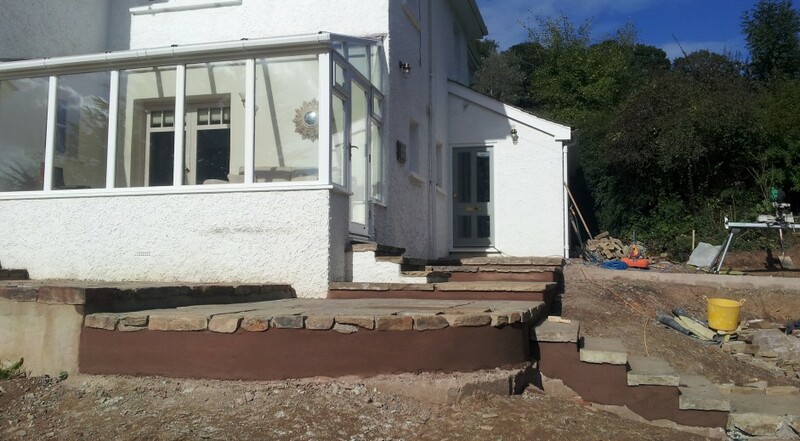 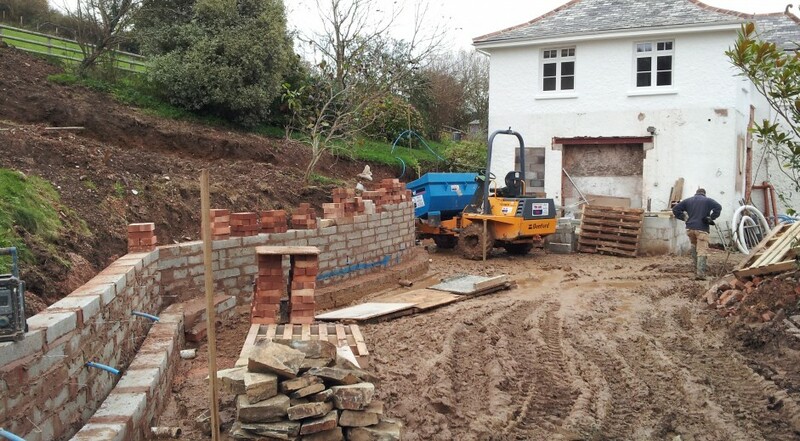 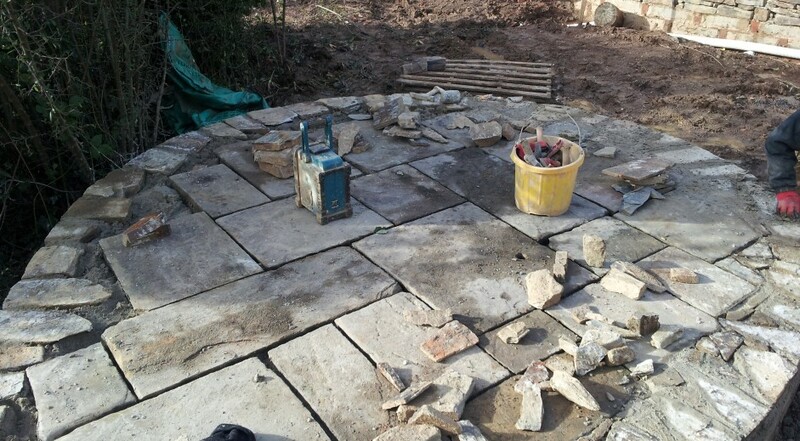 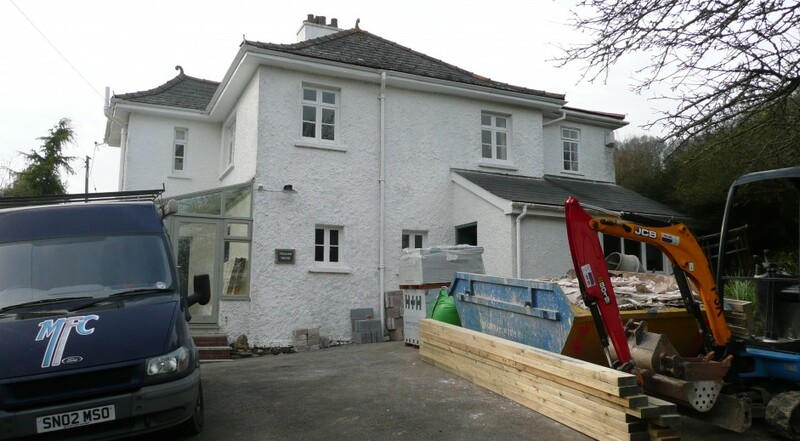 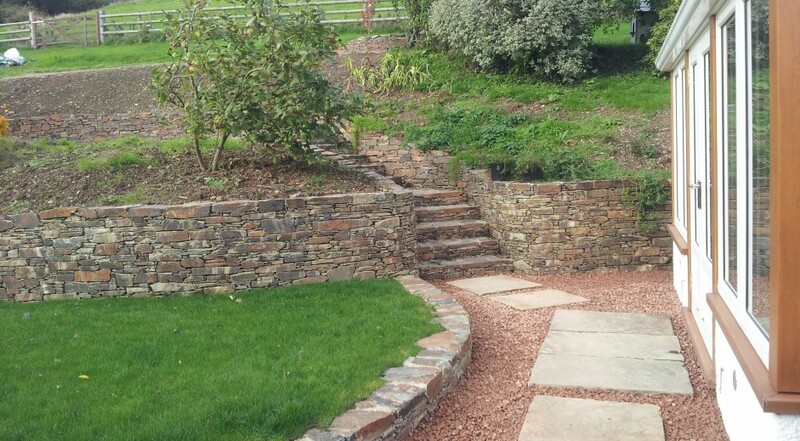 The work photo gallery shows before works started all the way through to completion and include concrete block retaining walls faced in stone, reclaimed York slab paving areas , steps and pathways, Growan to finish the paths and driveway, hidden surface water drainage and services.